We may still be a ways away from the glamorous vision of augmented reality (AR) that Pokemon Go creator Niantic envisioned in the early trailers for the mobile game, but we could be getting a little closer. Niantic has just shown off some new improvements to its AR platform that make real-world interactions more realistic. Seeing Pokemon on our lawns and in our toilet bowls has been fun, but when Pokemon Go launched and brought AR much further into the mainstream, it was clear that the technology had a long way to go. Niantic is demonstrating that it's willing to put the time, effort, and cash toward achieving that realism. It has made recent acquisitions in the AR, computer vision, and machine learning space, and is launching the Niantic Real World Platform. This is to enable its AR systems to better understand 3D spaces and create AR objects that can interact with real objects in realistic ways. In its blog, Niantic said, "One of the key limitations of AR currently is that AR objects cannot interact meaningfully in a 3D space." This new platform aims to conquer that limitation. 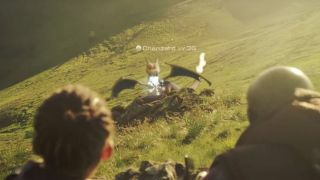 Niantic has already shown off some of the progress it's made in that direction with a demo of Pikachu and Evee. It may not seem like much, but this is a solid step forward from having an AR object simply glued at one point in space. And, Niantic has made it clear that the company is still "in the very early days of exploring ideas, testing and creating demos." The Niantic Real World Platform aims to better understand the objects in a scene, the relationship between those objects, and what those objects are doing. This is no easy task when the scene is constantly changing as users shift their cameras around, and as new objects can enter the scene (did you see Pikachu almost get stepped on?). Beyond letting AR objects interact with the scene, Niantic sees the scene and object recognition as a potential way of sprucing up the environment as well. The system may see flowers and create AR bees, or see a lake and pop in an AR duck (though we'd hope for a Gyarados). Niantic doesn't plan to work on all of this alone. The company intends to offer its AR tools to a selection of third-party developers later this year. So, we can all expect to see some more realistic AR experiences ahead, even if it's only a small step forward.